"I'm Short, Curvy, And Very Latina," Says Fashion Blogger Amanda Korina — EveryStylishGirl. 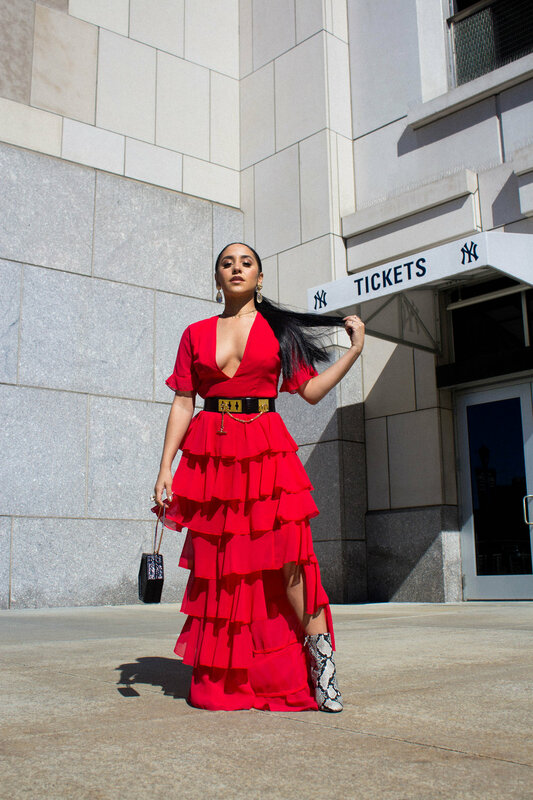 Born and raised in the Bronx, Amanda is a Puerto Rican influencer, blogger, and fashionista. Running her platform for the past six years, Amanda works closely with her mom who has and continues to take all her pictures. Graduating from Stony Brook University, Amanda spends her 9 to 5 in real estate and the rest of her time running her blog, From The Heels Up. 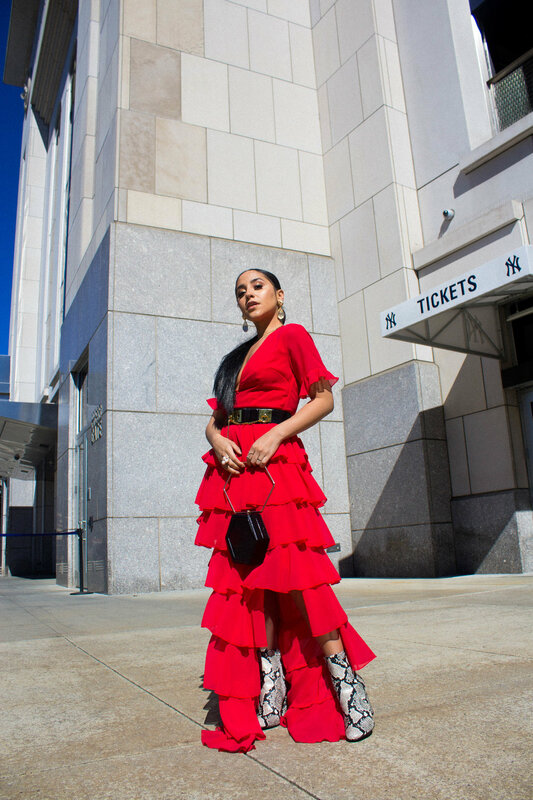 Choosing to partner with us for Hispanic Heritage Month, EveryStylishGirl is proud to work with a girl boss breaking boundaries not only for the Hispanic community, but for women of color everywhere. What inspired you to get into fashion and lifestyle blogging? I always had a love for fashion and anything glam since very young. Most of my fashion sense and style comes from my mom. But I would say, it became my form of self-expression when I was in high school. I had worn a school uniform my entire school career. While in high school, I felt so restricted and bored. Any moment I had to dress up and show my style, I did and sometimes I overdid it. But that was when I realized it meant something to me. I launched my blog, FromTheHeelsUp.com, six year ago - as a creative outlet of self-expression. Throughout my college career, I continued to blog but it wasn't until I graduated that I realized it was my true passion and what I wanted to pursue long-term. The last two years have served as daily confirmations that I am on the right track, and I am meant to do this. What sets you apart in the digital sector of the fashion industry? This is a question I battle with all the time. In this fast-growing, almost over-saturated industry, I struggle with finding what truly sets me apart sometimes. I'm always being told to find my "niche" that will ultimately set me apart, which adds an unnecessary pressure to figure myself out fast. So I constantly remind myself that I don't see enough of me in the industry. I don't see enough of me in magazines, at runway shows, and especially not at those amazing travel trips with brands. I'm short, curvy, and very Latina. And although there are Latinas holding it down and paving the way in the industry right now, it isn't enough and I want to contribute to the industry for women and girls that look like me. Nurturing. Loving. Animated. Family. Expressive. Loud. Real. A few words to describe what being Latina means to me. It wasn't until much recently that I became comfortable in who I am and what has shaped me. Attending events and being in crowds where I am sometimes the loudest, the darkest, and most animated (talking with my hands HAHA) person in the room, I learned to embrace who I am. Being Latina to me, means standing strong in my truth and being proud of my story, upbringing, and family. What do you plan to do with the platform you’ve created for yourself? What I plan to do constantly changes. The goal is always to inspire, but as I get deeper into my work, I find that I enjoy connecting and interacting with people the most. It feels much more rewarding to know my words or my own life can impact someone else and spark a change. When I run into my followers in person and I see and feel how I inspire them, I'm always taken back. It blows my mind every single time. It reminds me how powerful my platform is and all of the things I can accomplish with it. No matter where my platform takes me, I plan to help others. How has your culture transcended into your work? I would say that it transcended naturally and completely without force. My following and audience are predominantly women like me. Although I embrace my culture and where I come from - I also don't scream it from the mountain tops and mention it every moment I get. But somehow, my audience formed to be mostly women who are Latina, minority women, or from places like where I get to call home, The Bronx. Through sharing my life on social platforms for the past six years, my audience found a connection with me through my work. It's obvious my culture and background resonate through my content and will continue to.